“The possibilities of technology and innovation will never be truly realised if we’re missing out on the ideas and creativity of half the population.” – Nicola Hazell. 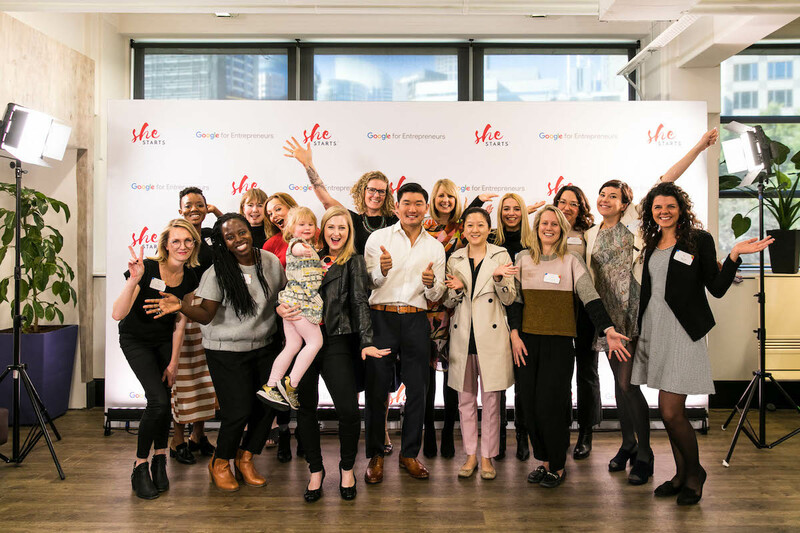 We are thrilled to announce a very exciting opportunity for the female entrepreneurs within SheStarts, Australia and globally. Today, we are launching a new partnership with Google for Entrepreneurs, to turbocharge female leadership in tech and entrepreneurship. Through this partnership, our community of high-potential female-led tech startups will now be part of the Google for Entrepreneurs international partner network, empowering SheStarts founders with the best of Google’s resources — including executive mentoring, as well as programming and technical support to help to kickstart their entrepreneurial journey and lead successful, globally-minded tech startups. It’s a huge milestone for our community, demonstrating the growing international support for Australia’s female founders. Some of our panelists at the announcement event. Since launching in 2016, the SheStarts accelerator at BlueChilli has secured the backing of some of Australia’s and the world’s biggest brands. This partnership with Google for Entrepreneurs builds on the support we have received from foundation partners ANZ and MYOB, and existing tech partners Microsoft and LinkedIn. The endorsement of these companies demonstrates that investing in female-led startups is an investment in the growth of our economy and the future of our country. Gender equality is not just a nice-to-have, it’s a global economic imperative. Nicola Hazell doing the opening address at the announcement event. Right around the world, Google for Entrepreneurs partners with leading co-working spaces and programs across 140 countries, supporting entrepreneurs to learn, connect, and create companies that will change the world. The addition of SheStarts to this network means founders from the SheStarts program will be connected to this global community of entrepreneurs, unlocking opportunities in other international programs and building links for Australian founders to tap into the expertise and resources of one of the biggest tech companies in the world. Our SheStarts team and founders are humbled (and beyond excited…!) to be invited to join this global partner network alongside many of the leading startup communities around the world, including the other existing Australian partner; our friends at Fishburners co-working space! To truly change the ratio for women in tech, we must continue to work together across the ecosystem, to provide access to opportunities, networks, funding and support – empowering women to shape the future of our economy. 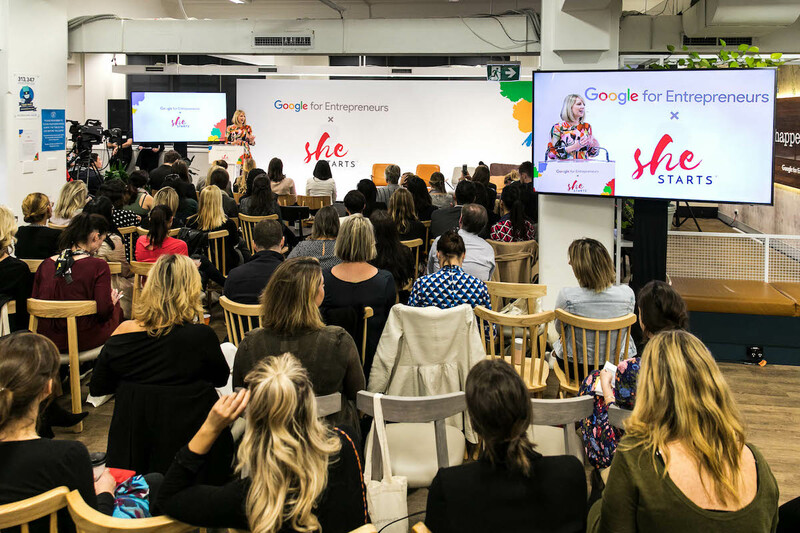 This new partnership with Google for Entrepreneurs reflects our global vision for change and is a wonderful testament to the impact we are having with SheStarts. 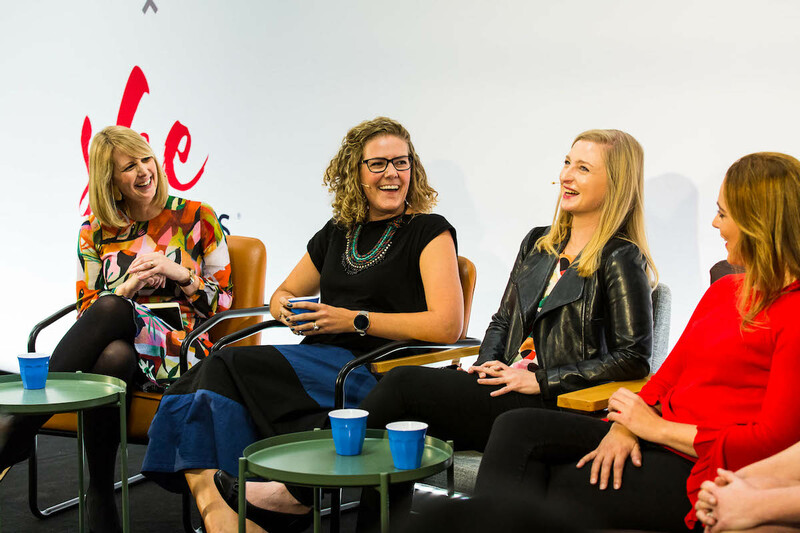 We can’t wait to see more Australian female-led startups succeeding on the global stage. Together, these women are redefining what it means to be a tech entrepreneur. For all the details, read Nicola’s guest blog on the Google for Entrepreneurs blog page here and watch the launch announcement on our YouTube channel. The SheStarts team at the Google for Entrepeneurs x SheStarts announcement at Fishburners Sydney Coworking Space.